How easy it is to forget that there is (exists) a Living God. Maybe this is so because we are surrounded by dead ones. Since the things we need and “serve” are not consistently life-giving, I think we lump everything to together and get along with that sort of paradigm. A “less-than Living” take on life. The originator, Creator God, is never-ending, and a not relegated to some notion of goodness, or idea we get to keep in the back of our minds. 1. A Living God embodies Love not Apathy (the opposite of love). 2. A Living God makes a worshiper like him/her (God transcends gender). 3. A Living God has a personality (is a being), and relates to others (has the true quality for connecting in relationship) as a primary undertaking and desire. 4. A Living God is interactive in human history, and perpetually involved in common life with regards to people, events, and circumstances. 5. A Living God is wise and forbearing. 6. A Living God is everywhere, unconquered, and vigorous (spirited). 7. A Living God may display displeasure or delight. 8. A Living God has no pride, (because pride is delusional and also leads to deadened life). In light of this, what is your response to God? I’m asking for you to take a minute, and comment on your response, one (or more) of these 8 mentioned traits, or bring up something I didn’t mentioned. Our freedom allows us to make choices that determine our purity and our innocence. 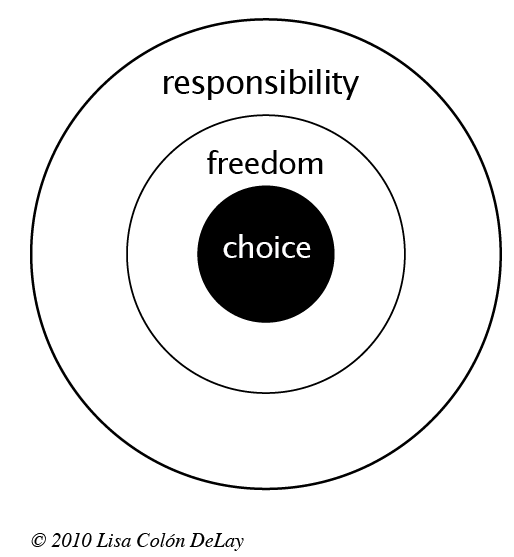 So, freedom always includes responsibility, and purity can be regained. It is innocence that is untried. In the cases were guilt may plague us, we may seek healing in the spiritual discipline of life confession, and then find it our acceptance of love and forgiveness. This happens best in Community, with the support of siblings in Christ. This is also an act of worship. Please share you thoughts on this, or a related theme. Or you may tackle one of the following. Thanks. • What have been your influencers with regards to purity? • How has the media impacted your view of purity? • What is the biggest struggle regarding your faith and your purity? Before I do a post, I’d like to get responses, first. Yes….sort of doing it backwards. What are the qualities of a Nest? 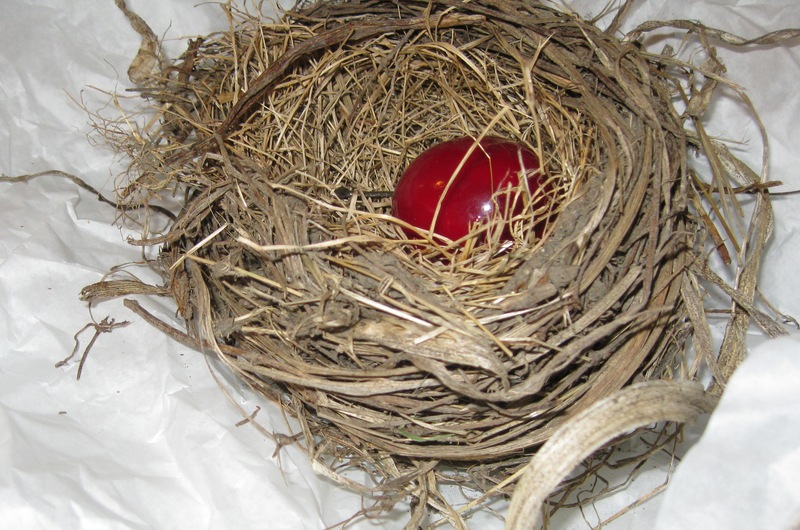 Is your home like a nest? Life *seems* like a "show about you" b/c you are in every scene and every episode. Thanks for reading, and please leave your questions or comments, now or anytime. By default our heads are filled with an odd and faulty knowledge/sense that Life is a Show about ourselves. Each person thinks he/she must be the center of the universe (think: reality lived out), until something, or someone interrupts this notion. Living outside this worldview takes practice, increased maturity, and concerted effort. Cultural norms and money makers do not encourage us to turn the channel from “The Show About Me”. Sounds like a blanket statement, right? It sounds like I’m saying everyone is a dirty, rotten jerk, and that can’t possibly be true? Think about these 5 questions as you read them and answer truthfully (to yourself, or if you feel that sharing will help others, leave your results in the comment section). 1. When you wake up in the morning do you think about the upcoming events in your day, or focus on your feelings? 2. Do thoughts of your past, present, or future occupy your time in your day? 3. Do you endeavor to find pleasure and avoid pain? 4. Do you mentally weigh the personal benefit when making decisions and actions? 5. Do you long for people to think well of you, and you make decisions based on this factor? Okay, maybe you skimmed those questions. Maybe you don’t want to do a personal inventory. If you want to move on, and this is getting weird or uncomfortable, you’re headed for a rerun. I’ll get to that in a minute. So what? you say, doesn’t everyone? What’s the big deal? Well, friends, it’s only a big deal if you want to feel unstuck….If watching the same re-runs of yourself meeting the same sorts of dead ends and disappoints, and having the same insatiable cravings, growing frustrations, and restricted and delayed growth wears on you, then yes, the deal is starting to head into a biggish area. Seriously, re-runs are really what you get when the season’s over. No one is working anymore, and the networks hope more rehash won’t be too egregious and lame. After two or three times of the same stuff, we usually want something new, something better. A whole other Reality is going on, and has been long before you, and will long after you. You may have been skimming on the surface of it, but you have to wake up and realize thoroughly that you are not the Star of the Show, and more importantly, it’s not your Show. ‘Ever seen the movie the Matrix? It’s like, but with fewer people wearing sunglasses. …. oh never mind, The Matrix explanation is WAY too long and slippery. You’ll think you’re Neo, and we’ll be back where I started. In a few days, Part II of this reflection will get down deeper. Soon, I’ll also offer mental, spiritual, and emotional (concrete) ways many people have truly shifted their view to a more healthy one. We’re just getting the engine started on this vehicle to a new perspective. Let’s stick together–Meet back here soon. Any guesses who the Star of the Show is? What do you think Reality looks like with this different worldview/perspective? I was allured by this Flickr picture the second I saw it. It seemed beautiful, yet also strange. 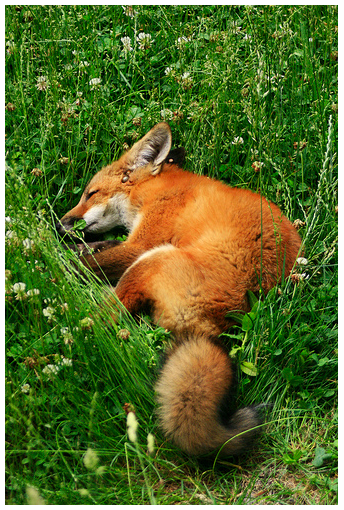 A genuine napping red fox in a field of tall clovers? Curious. The image info told that it was indeed this fox’s last rest. Possibly rabies did him in. What a mournful occasion, but what a comely little beast. Will you awake in another field with new rabbits? Will you suffer no more? Your thoughts or comments are welcome. If you can find NOHING to be thankful for, thank God that these silly birds won’t be coming to your place for a holiday meal. 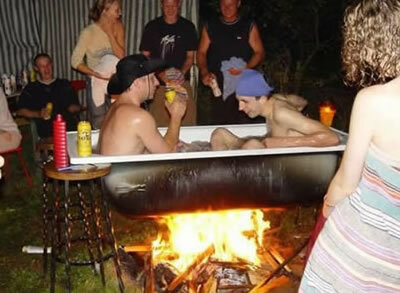 (Notice that the tub is being held over open flames by…um, kitchen stools… (?) yeh, ok…) Why do a suddenly sense an ambulance in the future for these people? Plant firmly in your mind that you probably can bear anything for a few days–even prison. Maybe even full blown torture. How bad can water boarding really be? For instance, I’d take it over having to watch Adam Lambert perform, like he did on the AMAs! If good times happen during your visiting with relatives, count that as a blessing. But, don’t expect a lot from people you don’t often see. Sure, they will bother you, and get on your nerves. They might try to make a spa whirlpool from a tub, a roaring campfire, kitchen stools, and the gas from the beans they had the night before, but you can handle it. Why? Because you’re better than them? Because you’ve had a ton of spiked egg nog? No…well, I think, no. What will truly help, is to see a bigger picture. Time is on your side. You don’t spend your regular life with them, or in these holiday situations. Hang in there-Be your best self, and know that the holidays are just a temporary gathering time. You don’t always have to be right, or have a dream holiday experience. And you don’t have to let them bother you. Turkey soup doesn’t last all year! 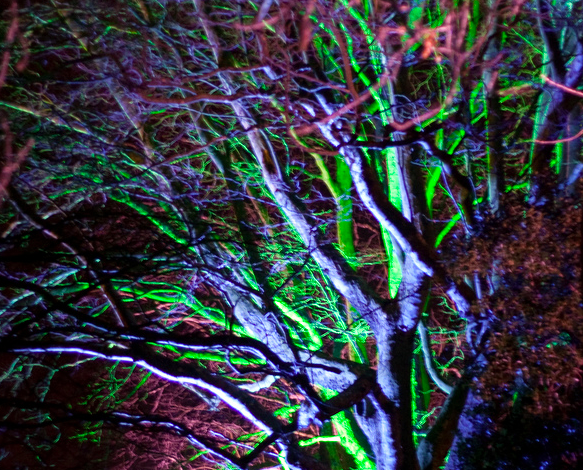 What’s your strangest holiday memory? Jedi Training, coming in 8 weeks. Posted on November 12, 2009 | Comments Off on Jedi Training, coming in 8 weeks. Anyone can be a Jedi... eventually. No, Mr. T is not officially endorsing my program, (which is really a focused learning group) but if he knew about it, he might. Only 10 people will be chosen, at a time. We begin in January. Comments Off on Jedi Training, coming in 8 weeks.